Raquel Valverde, Program Development Coordinator of Youth Programs at UREC / AmeriCorps Member. (Baton Rouge, La.) 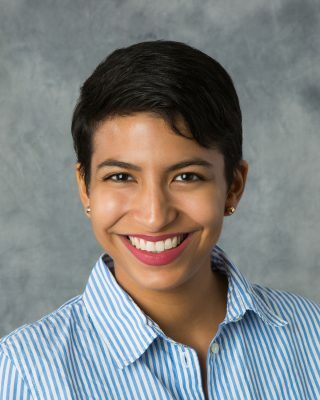 – Urban Restoration Enhancement Corporation welcomes Raquel Valverde as Youth Program Coordinator / AmeriCorps member through a partnership with Louisiana Delta Service Corps. Valverde, a graduate of LSU and native of College Station, TX coordinates youth initiatives at UREC’s 21st Century Community Learning Centers at Southern University and Glen Oaks Park Elementary. She discusses her new role with UREC as well as the importance of millennial’s involvement in service and education. You recently joined UREC as a Program Development Coordinator for Youth Programs/AmeriCorps member. What are you responsible for in this position? I oversee the day-to-day implementation of our after-school youth programs, the Project S.T.E.A.M. program at Glen Oaks Park Elementary and the College & Career Ready Initiative at Southern University. During the day I manage the curriculum, handle scheduling, perform data entry, and participate in community engagement and communication for our programs. In the afternoon, I report to the sites to provide additional support to the classes and our students. What are some of the personal and professional goals you would like to accomplish in this position?My goal is to also help the high school students address their personal ambitions, hopes, and concerns regarding college so that they can create a plan to achieve their aspirations. I also want to help the elementary school program as much as I can to maintain the children’s engagement and enthusiasm for learning. I am organizing the upcoming parent-student conferences for the College & Career Ready students participating in the ACT and College Admissions Prep Institute. During the conference, we will discuss college admissions with an emphasis on individual goals. We will review which schools each student is interested in, compare affordability and admission standards, and discuss what steps need to be taken to achieve acceptance. I also provided support on Project S.T.E.A.M.’s Lights on After School Family Night, which engages family members in the various art, science, math, and engineering projects the students have been working on in their classes. What advice would you offer to millennials about getting involved in education and community service? I encourage millennials to just jump in. Helping and educating others in your community doesn’t have to be a daunting task. Young citizens can make a difference with small gestures like helping a neighbor or volunteering at the local shelter. Many of us are passionate about accessible education and the betterment of others in our community, we just need to jump in and start.